With combined curved and square lines, the Moda offset washbasin brings style to any contemporary bathroom. 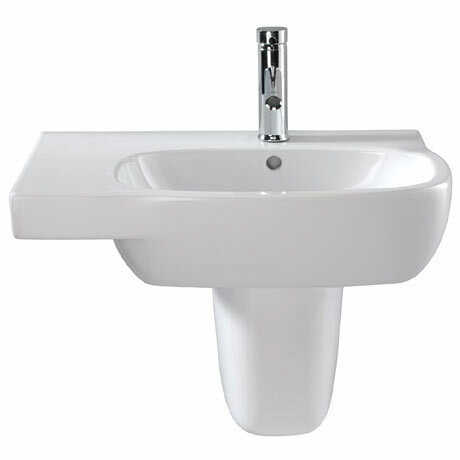 Manufactured from high quality vitreous china, the basin features a single tap hole, integrated overflow and a useful left handed shelf. Dimensions: (W)650 x (D)460 x (H)180mm approx.